You can change the expiration date of a questionnaire or a consent form as needed. This will affect the due date of the form for all patients. Each questionnaire, including its expiration date, is organization specific. Each consent form, including its expiration date, is location specific. 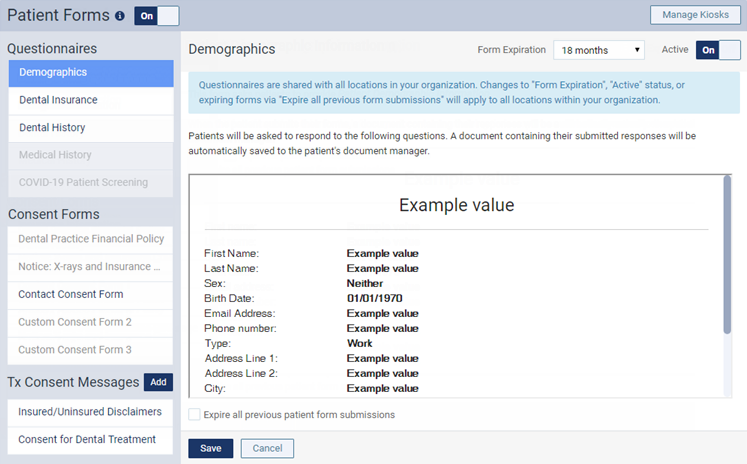 On a location's Patient Forms page, under Questionnaires or Consent Forms, select a form (active or inactive).